Wanelo is a social shopping app whose name is derived from the words, “WAnt,NEed, LOve.” This site is a combination of a social media and shopping app. 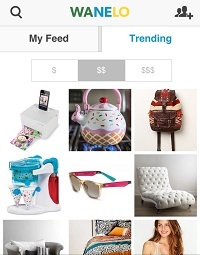 Wanelo can be seen as imminent competition to sites like Pinterest. A user can browse millions of different products from major brands, retailers or even independent products from sites like Etsy. 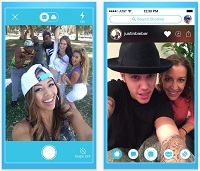 Shots, an app backed by Justin Bieber, is similar to Snapchat and Instagram but with a twist. Shots was purposely built without any direct-messaging options, follower count, or public comments like other traditional media. This is to help prevent negativity and bullying often associated with those features. 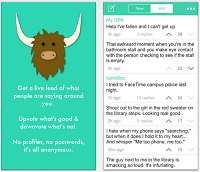 YikYak is similar to an anonymous bulletin board. People within a 5-mile radius can share their opinions and thoughts. This app is particularly favored among students and on college campuses. Posts that are popular can be voted up to be the most visible, and there is also an option to check out what the most popular topics are in other cities. If you’re looking for a combination of Facebook, Path, Slack, Snapchat and Tumblr all in one app, Peach is going to be it. Peach is a new app for iOS created by the co-founder of Vine, and it is gaining popularity among millennials. It’s more private than other apps because it’s only viewable by friends, and friends of friends. What apps do you think will be the next big social media platform? Tweet us @DEVENEYMKTG and let us know your favorite.